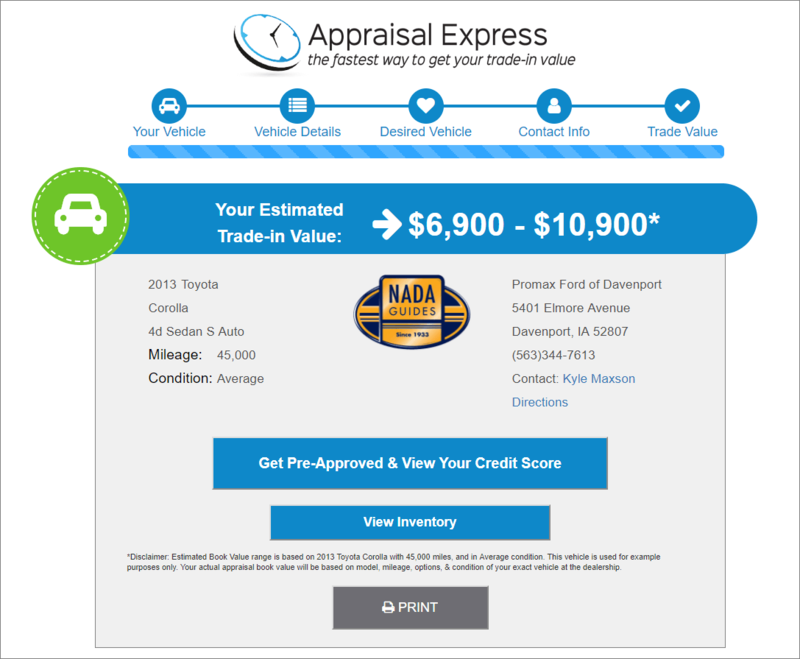 Appraisal Express is a great online trade evaluation tool for your dealership’s website. Give consumers information about their trade and get a high quality lead in return. Studies show that 63% of buyers check the value of their trade-in before purchasing. 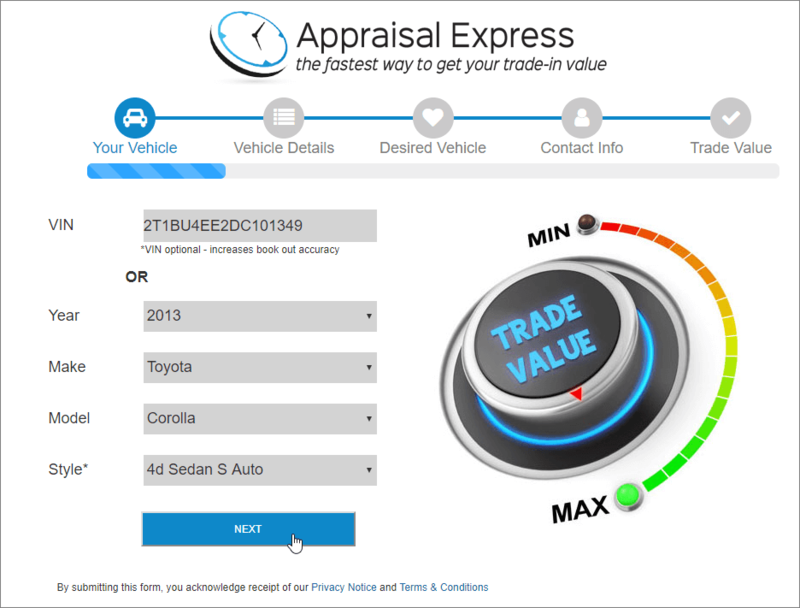 With Appraisal Express, buyers can instantly get the value of their trade while on your website. Buyers will appreciate the convenience; you will appreciate the increase in the quantity and quality of your leads. Appraisal Express is another great service you can offer that makes buying a car faster, easier, and more beneficial for everybody. Provide your website visitors with a great service they are looking for and increase your leads at the same time! Appraisal Express integrates seamlessly with any website and the leads can be delivered to any CRM. For more information about how this great tool can help your dealership, fill out the form below.